Treatment options for patients with triple negative breast cancer tumors are limited—mainly because these tumors lack the necessary receptors commonly targeted by chemotherapy and hormone therapy treatments. However, researchers at the University of Wisconsin may have found an effective cancer treatment that focuses on diet therapy and a targeted antibody. In the study, published last month in the journal Clinical Cancer Research, researchers discovered that by depriving the cancer cells of methionine, the stressed cancer cells responded by increasing TRAIL-R2 receptors on their surface. The cancer cells’ vulnerability increased, which allowed for an antibody treatment to effectively target them, resulting in cancer cell death. In the study, researchers fed mice that were affected by triple negative breast cancer a diet deprived of methionine. Mice were treated with an antibody targeting the TRAIL-R2 receptors. They found that the combination of a low-methionine diet and an antibody treatment resulted in the most effective treatment for shrinking the breast tumor and preventing metastasis to lungs, compared to either therapy alone. The mechanism behind a low-methionine diet is not understood, but it is an exciting breakthrough. The study opens up future possibilities for human clinical trials. Targeted antibody therapy for TRAIL-R2 receptors has not been effective in humans before; however, researchers hope that in combination with diet therapy, there will be hope for new treatment options for cancer patients. 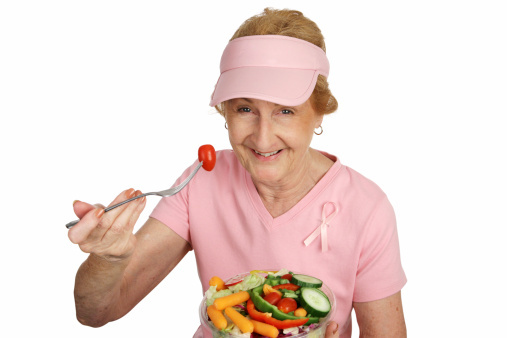 University of Wisconsin-Madison, “Dietary intervention primes triple-negative breast cancer for targeted therapy,” Science Daily web site, July 14, 2015; www.sciencedaily.com/releases/2015/07/150714150934.htm.